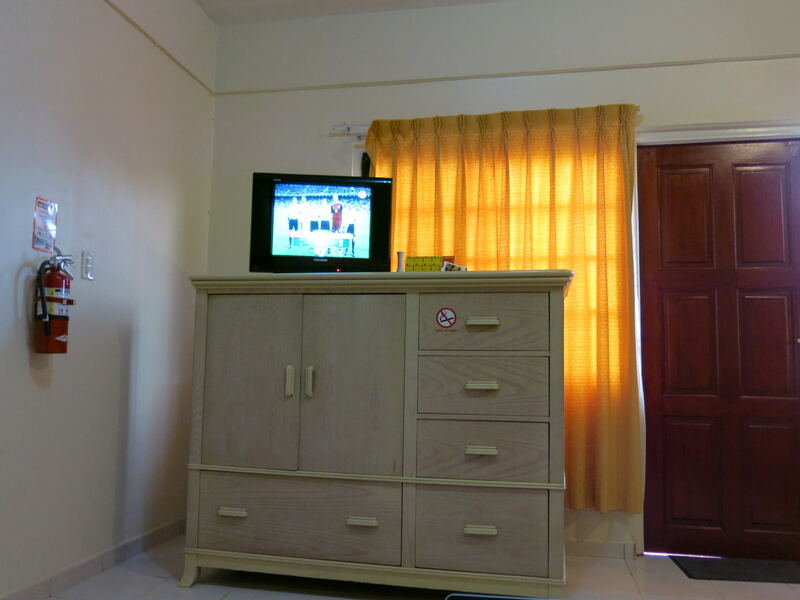 Enjoying Fajalobi apartment in Paramaribo. 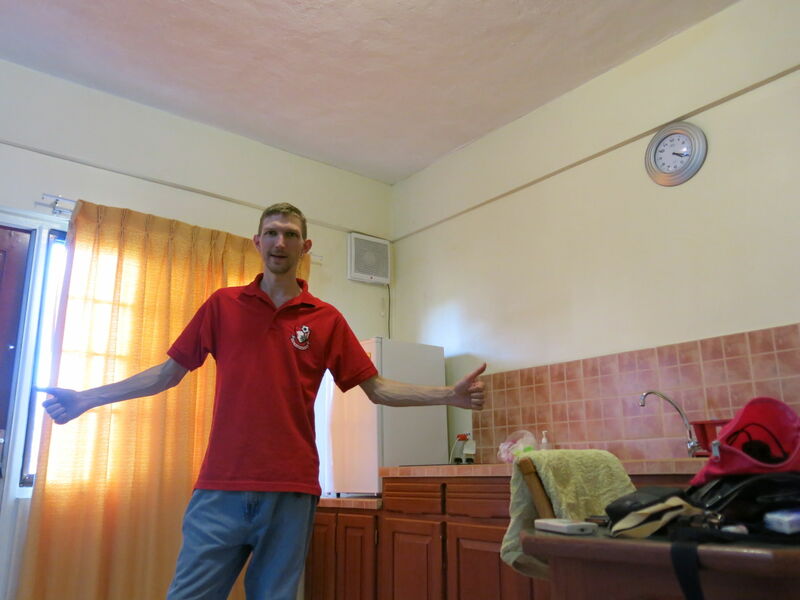 I love the accommodation diversity that travel brings. Especially recently while backpacking in northern Brazil and “The Guyanas”. Having spent nights in jeeps, airports, night buses, good hostels and bad hostels, we found pure luxury and relaxation at an apartment complex run by Etienne’s Unique (EU) Apartments in Paramaribo in Suriname. 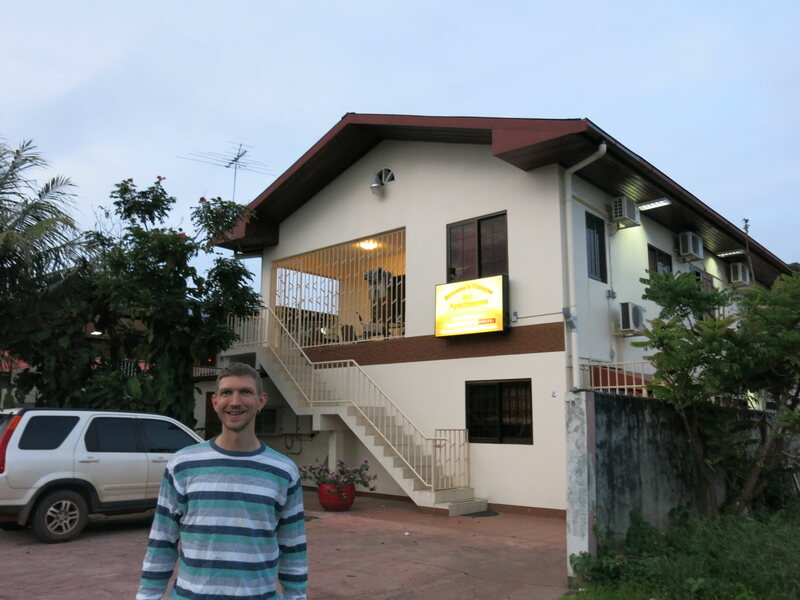 Our apartment for a night in Paramaribo. Having crossed the border from St. Laurent du Maroni (French Guyana) to Albina in Suriname, we arrived in the capital city, Paramaribo – a city I first visited in 2011 and compiled a top 15 sights for. This time, we were here for a couple of tours, some relaxation and I had to get some online work done (such is my lifestyle). Our apartment was Fajalobi – Hot Love. 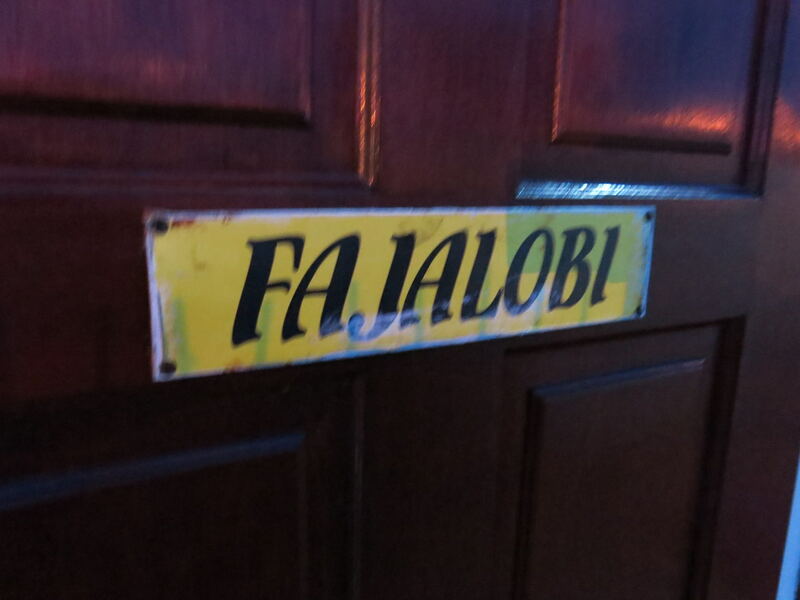 Fajalobi translates as “Hot Love” in English and it is one of a few apartments in a secure complex in the city of Paramaribo. Fajalobi is the name of the apartment which is part of a complex run by Etienne’s Unique. 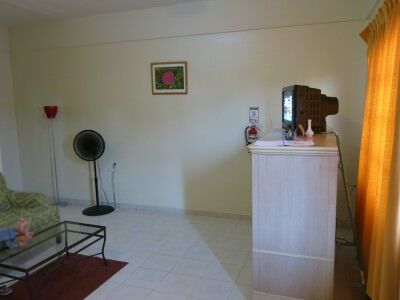 The apartments are situated in a cool area away from the city centre and close to some supermarkets, restaurant and bars. It is real relaxation here and not only that – it’s self catering so you can do as you please. The apartment complex is situated at No. 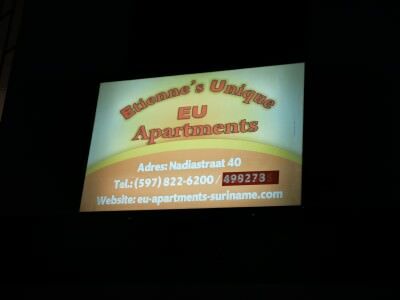 40 Nadiastraat in the Uitvlugt district of Paramaribo. Outside Fajalobi and the Etienne’s Unique Apartments. Prices can vary but they are usually from around 50 Euros per night for a double room (25 Euros each), well worth it for the relaxation of it and a break from the hostel/couchsurfing life. 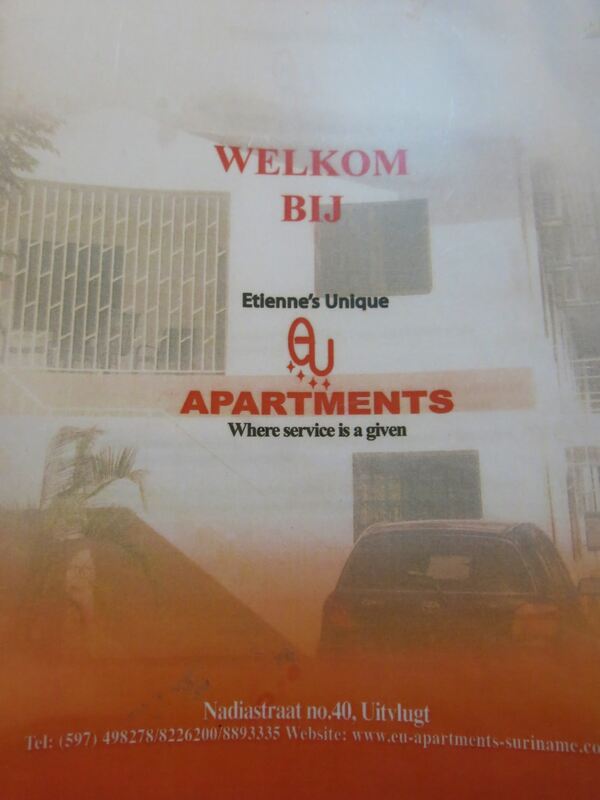 Etienne’s Unique Apartments, Paramaribo, Suriname. 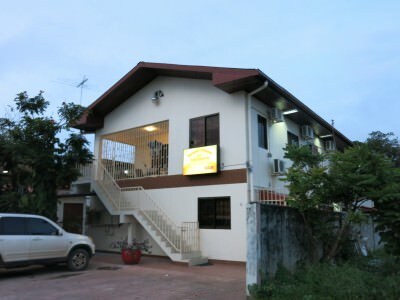 Obviously I’m a long term backpacker and traveller and usually side with hostels each night, but every now and then a bit of privacy and luxury is needed to break up the mundane-ness of it all and Fajalobi did that. 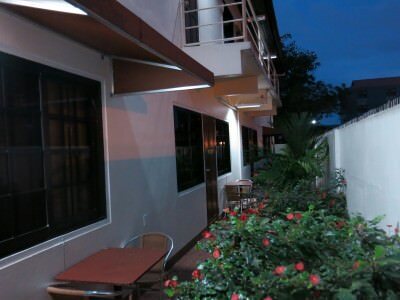 Here are the six main advantages from staying at Fajalobi. You are in your own apartment. There is no reception and there are no other travellers. Once you close the door of your apartment you have complete independence and privacy. It was a really relaxing evening in Fajalobi. Each apartment in Etienne’s Unique is fitted with its own fast wi-fi – perfect for working on the move and planning your next trip. Situated on Nadiastraat in Paramaribo this is an area way out of the city centre. You will not be awakened by noises or crowds and it’s a quiet area. The kitchen was just perfect. You get your own fridge, oven, sink and all the utensils you need for cooking. 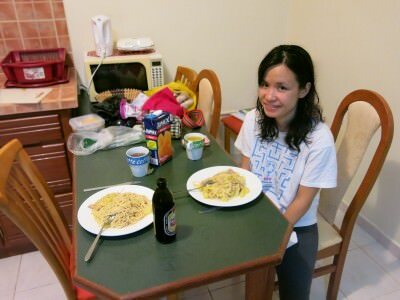 My girlfriend and I often take advantage of this by cooking some cheap local meals. Eating our home cooked meals in Fajalobi. 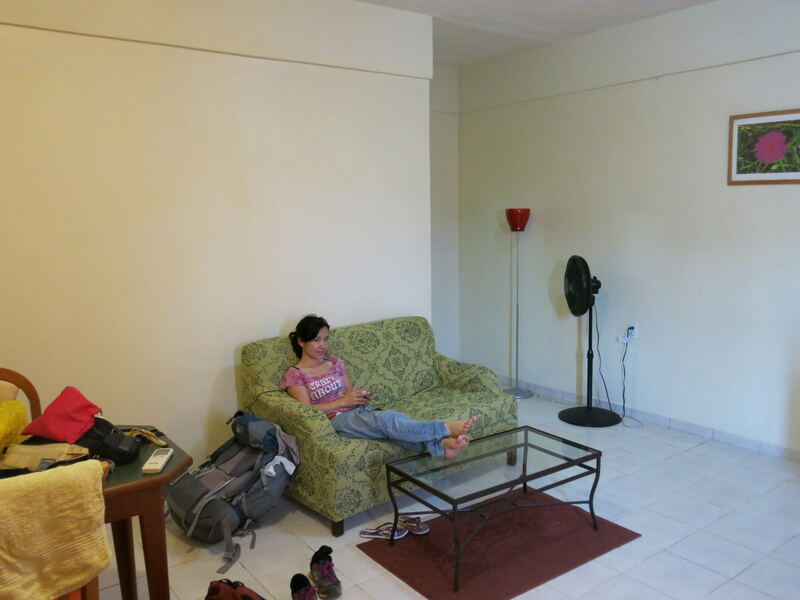 We only had our apartment for one night as our timescale meant we had to visit the Kaieteur Falls in Guyana two days later and make it back to Brazil for the end of the World Cup. Were it not for those two things, we could have easily stayed a week here, or longer. You just book it for as long as you want. Therefore it would be ideal for families too, who want a week or two in Suriname. Watching the World Cup in Fajalobi. Your own keys, locks and even an outer gate and barbed wire on the fence make this a secure and safe place to stay. Security and privacy in Fajalobi. This entry was posted in Accommodation, Apartments, Destinations, Paramaribo, Self Catering, South America, Suriname. Bookmark the permalink.